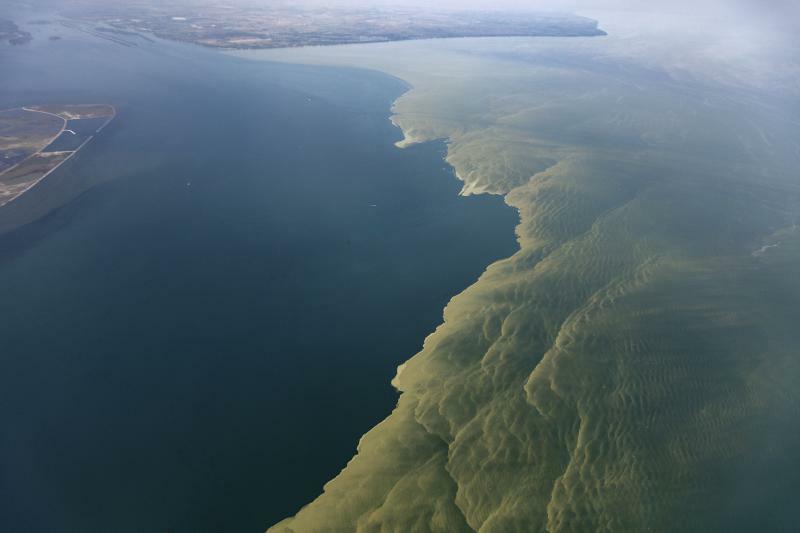 Algae blooms continue to color western Lake Erie a deep green. Now researchers and scientists want to know more about toxins produced by the algae -- and they’re getting help from some unlikely sources. Three thousand feet up in the air, Dr. Rafat Ansari flies his small, two-seater plane over Lake Erie. He starts west of Cleveland and flies over the lake's islands to Toledo, and then north into Michigan. The round trip flight is about 260 miles. Along the way, he snaps photos – about 1,500 of them – with three tiny cameras attached to his plane. Ansari is a volunteer who helps scientists monitor algae blooms. That’s a big change from his day job at NASA Glenn Research Center in Cleveland. It started years ago, when Ansari and his wife were flying from Chicago to Cleveland. They noticed the green lake and set out to learn more. By 2014, Ansari started a citizen science program, recruiting friend and fellow pilot Terry Schubert. Once or twice a week, they fly over Lake Erie. Their photos are provided to scientists at the EPA, NASA and NOAA. They’re also available to the public through a website. Schubert, a retired teacher, says the images help more than scientists. “Anybody can take one look at the water and say, ‘Geez, this is the stuff I’m drinking?’ And so it really brings out the true condition of what’s happening on the lake." A recent photo shows streaks of light green amid a lake of darker green water, evidence of algae and a toxin called microcystin. Ansari and Schubert have spent about $1,000 for the cameras and all their tools. And then there’s the cost of fuel. But for the two men, it’s worth the cost to give back to their community. 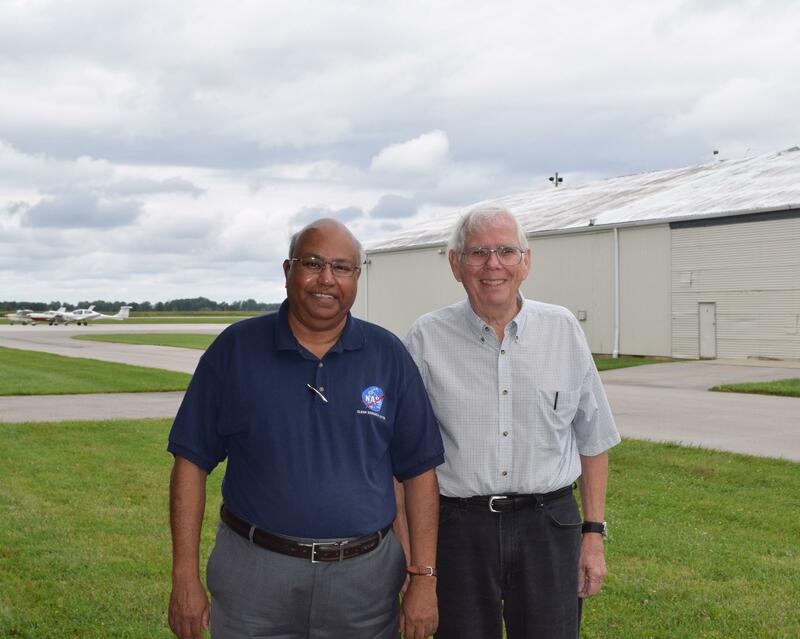 Ansari has added other private pilots to his roster of citizen scientists. Folks in Minnesota, California and Utah have been called on to take photos of waterways in their states. Scientists studying the algae don’t just rely on these pilots. To monitor smaller bodies of water, they look to NASA – and drones. NASA Glenn is taking the lead on this project, developing technology that would attach a camera to the drone. Drew Lawrence, part of the NASA team, says the images aren’t regular photos – they actually provide data. Each peak is a sort of signature, so when it shows up on an image, scientists can tell what kinds of materials are in a river or lake. But the images from the camera are only for use by scientists, analysts, and researchers. Dr. Joseph Ortiz, a geology professor at Kent State University, is one of the researchers who uses images from the citizen science flights and the drone. “If we had an aircraft and a small lightweight sensor that could be used to go out to lots of different places, now we become much more flexible in the type of work we can do,” he says. Then, he says, scientists could develop an early warning system for algae blooms. Ortiz recently published his research in Frontiers in Marine Science. The research focuses on how to isolate the signal produced by toxic cyanobacteria using a hyperspectral imager. Meanwhile, Dr. Dionne Hernandez-Lugo and her NASA team are refining the drone imager, which they say is cheaper than a plane and can fly lower. Eventually, her team would like to make the imaging system commercially available. It could have a wide range of uses – like showing a farmer how his crops are doing. “We were designing it not only thinking about a NASA use, but how can the public use it, what other uses people could have for this type of system,” she says. They have continued to test it, and they hope to use it regularly next year. As the algae bloom season continues, NASA has been experimenting with drones to photograph the spread of harmful algae. In the meantime, private airplane pilots acting as citizen scientists are helping out. 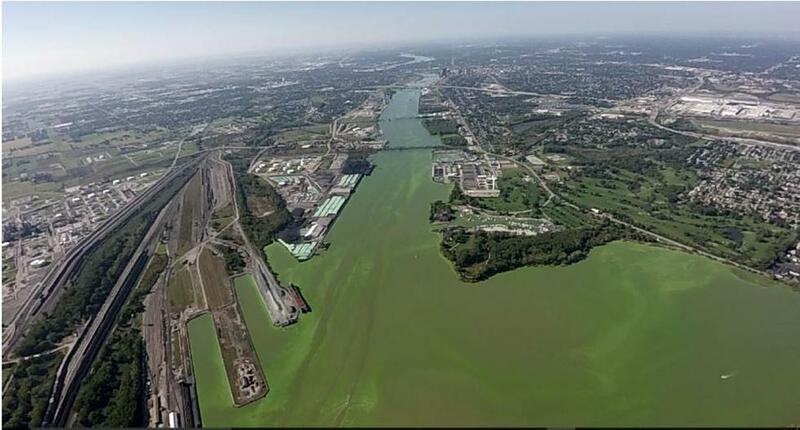 The algae bloom season continues in western Lake Erie, casting turning the lake and Maumee River green. These photos show the bloom's progression from mid-September to the end of the month. 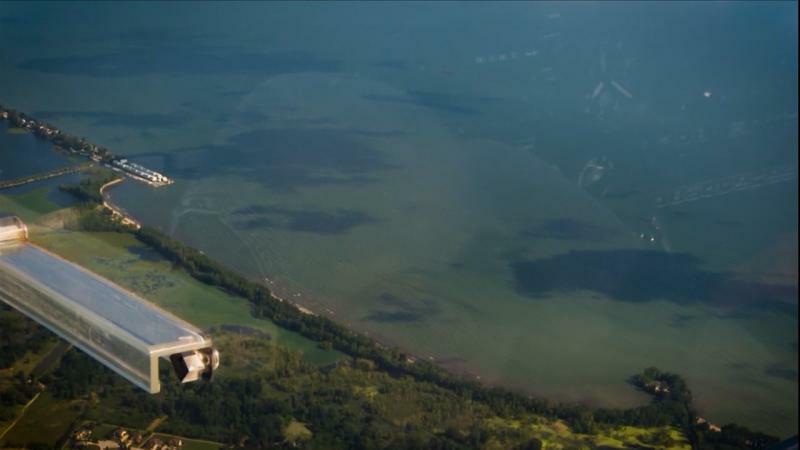 Western Lake Erie’s algae bloom is in full swing – and the water is a sickly green. At Maumee Bay State Park near Toledo, Ohio, the lake looks like it’s covered in paint. Thick lines of scum swirl around as the sun beats down.